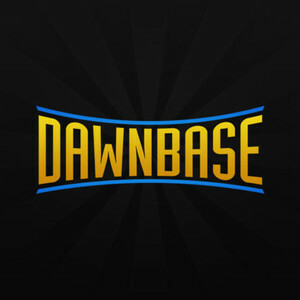 What is up Dawnbase its me Krashy here with another jungle build. So really quickly please check out my social media and then we can get into the build! For Lex jungle on Coast City i like to take Harley's detonate for faster clear and to secure objectives as well as Robin cams to ward for top lane/jungle. Starting our i like to buy Marauder Ring (2) and Modular Health Vial (2) for a total cost of 1k credits. This gives you 10 PD, Marauder Edge 2 and Marauder Burst 2 on the Ring. This is the best starting buy for Lex jungler and will give you the best jungle sustain with the ability to clear faster. Core items would be Fatality's Energy Lance (4) and Doctor Destiny's Dreamstone (4). These items give you great Power damage, Power Penetration and much needed Cooldown reduction for Lex's Q. Be sure to pick up The Starheart (3) for some added PD and Cosmic Staff (3), as well as some of the offensive and defensive items listed above on the build. During a teamfight always be sure to use your turrets methodically. You do have a recharge cooldown so you dont want to be overzealous and place them poorly. Be sure to place them close enough for the passive chain. During a Teamfight always use your E to empower your turrets, this is lex's max burst on his primary kit. Utilize his W situationally, using it to reset a turret(s) can be useful but be aware of dive champions. Using the W to stun at your feet can be a great source of peel for yourself and allow you to create space between you and an enemy. On Lex max your Q first. This ability is the focus of your kit. The key to being successful with Lex lies in your ability to properly utilize his Q. Secondly Max his E, this is your turrets empower. As stated before this is going to be the burst in your primary kit. Thirdly i max his passive, this gives a great source of damage that is often overlooked by your enemies. Increasing the damage on linked turrets provides increased threat for your enemy when sieging an objective. Lastly i max W, i often find myself using my W simply to reset a turret(s) or to peel for myself. Its never usually a main source of damage and isnt often needed and of course always take your ultimate at 6, 10, 14 and 18. I hope you enjoyed the guide on Top Jungle Lex Luthor and i look forward to playing him more and more. This worked out opretty well (though I did not have the same mods you picked). The problems are exactly as you stated....you cannot escape from a damn thing. But he clears quick. I just wish the mobs would not instantly attack the turrets.